Kids frequently learn that one of the big reasons the early European colonists traveled to America was freedom from religious persecution. In the wake of the Protestant Reformation, Christianity broke into numerous sects, many of which faced discrimination, either formally from the government, or informally among neighbors. To escape it, people made the long voyage to the Americas to settle. It’s no wonder that there are so many older churches which dot our country, many of which continue to exist to this day. 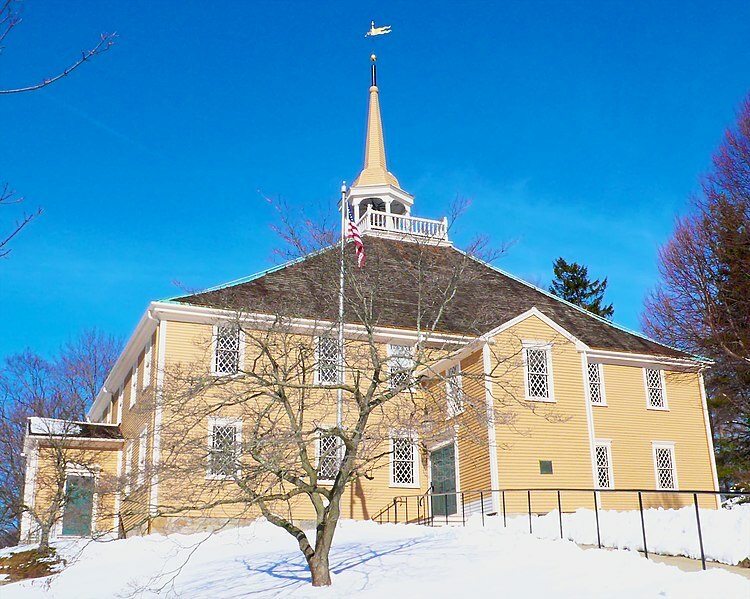 For this week’s 7 Quick Takes, I’ve highlighted 7 Early American Churches. St. Luke’s Church (also known as the Old Brick Church) was built in 1632, although there is some controversy over the date. St. Luke’s has occasionally fallen out of disuse, although it’s always been an Episcopal parish. The church is no longer in regular use, although weddings are frequently held here, as well as services on the fifth Sunday of any month that has them. The church is regularly open for visitation though – I had the opportunity to go last summer (but didn’t take many pictures…). One thing I do remember kicking myself for not taking a picture of was the baptismal font. It’s large, wooden, and gorgeous. I love the way the lid is placed on top. Looks a bit like St. Luke’s Church, doesn’t it? I had to look carefully to note that St. Luke’s has a small circular window up top, whereas Jamestown Church does not. The tower was started in 1639, taking four years to complete. The church was never finished at the time due to abandonment, but was finished in 1907. The Old Ship Church was built in 1681, and is the only Puritan Meetinghouse from the 17th century still standing. This is attributed to the solid construction of the meetinghouse, relying heavily on oak beams to ensure survival through multiple winters. It is also considered to have the longest continual use of any church in America. 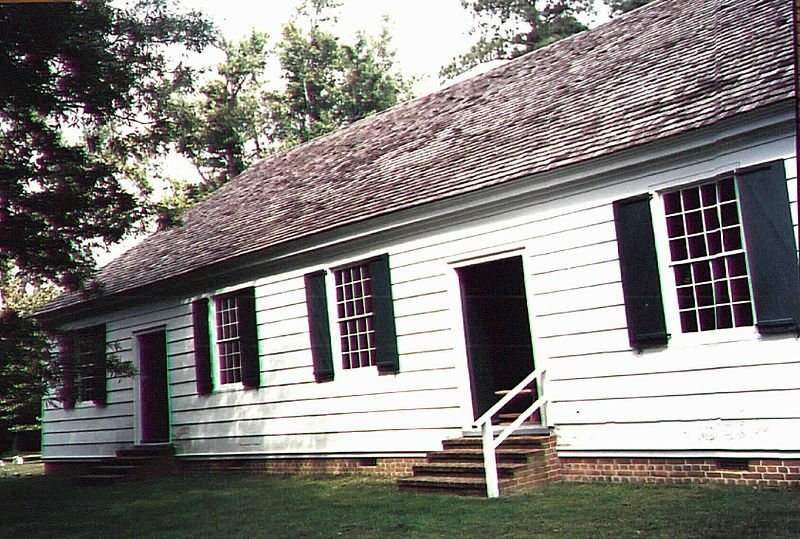 The Third Haven Meeting House is a cornerstone of Quaker history in Maryland. Built in 1684, the meeting house was a central location for the many different Quaker groups in the area. There were multiple meeting houses built in the area, and this is the only one to survive till the present day. Third Aven (also called Tred Avon) has a healthy congregation size and continues to use the space on Sundays and Wednesdays. The Old Indian Church (or Old Indian Meetinghouse) was built by the Wampanoag Native Americans in 1684, although the church changed locations in 1717. Still used by the Wampanoag Indians to this day, the church is the oldest Native American church on the east coast. Gloria Dei Church is also called the Old Swedes’ Church as a testament to the Swedish immigrants who initially built it between 1697 and 1700. The Swedish immigrants were Swedish Lutheran, but the church has been considered Episcopalian since 1845 when the two congregations merged. The first Lutheran ordination happened at this church in 1703. San Miguel Mission was a Spanish mission built sometime between 1610 and 1626. This makes the church the oldest in the US. 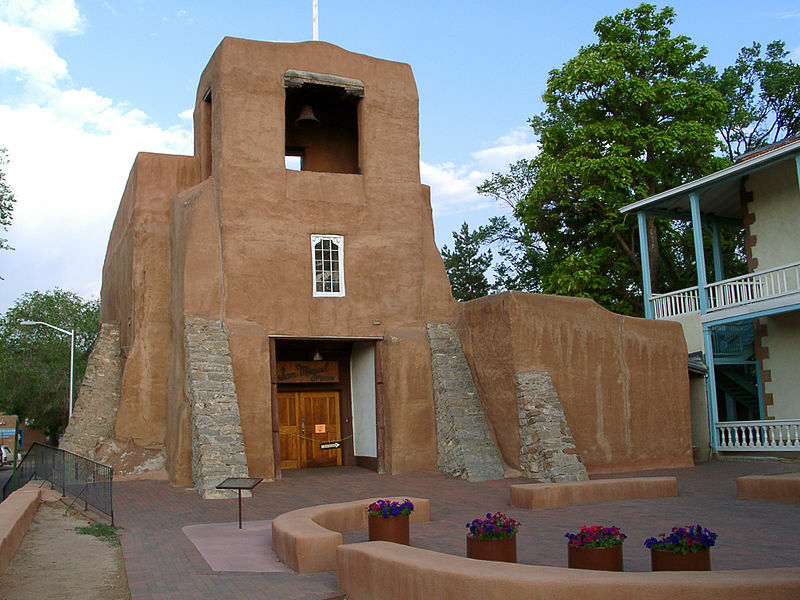 Built out of adobe, the church has been damaged and repaired or rebuilt multiple times. Despite this, the church still maintains it’s original adobe walls, although they’ve been hidden by many of the later renovations. Sunday Mass is still celebrated here as well. Any older churches in the United States you would like to visit? I love this post, thanks for sharing these! I was an American Studies major… this reminds me of my wonderful Colonial America class!